I hope everyone enjoyed their summer. I'm glad to see registration is strong once again, and I look forward to my first year leading and developing our young hockey players and future GMHA stars in this great IP program! 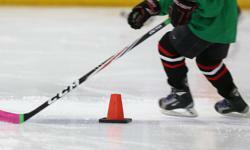 Intro Coach (CHIP) Course to be offered in Grimsby Sunday, September 29th.